Over the weekend, designer B.A. Bakken posted to creative outlet Behance what he is referring to as “pitch work” for a couple of Motorola ad campaigns. 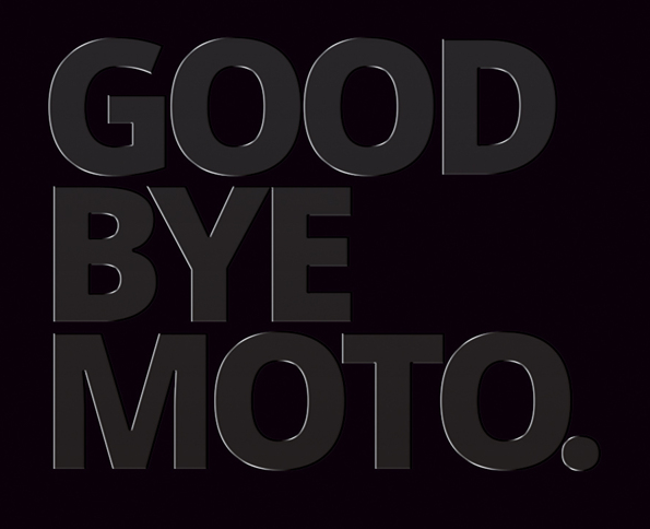 The campaigns take into account that we are looking at a brand new Motorola, so he focused one on a goodbye to the old, with the second being used as a platform to welcome in the new Moto. It’s certainly a neat idea, especially after seeing new CEO Dennis Woodside stand on stage last fall, telling everyone that we should expect big things from the new Motorola. Problem is, the tech media world has now decided to transform this “pitch work” into what they believe to be the roadmap for the Moto X. Hell, one publication even posted an image used in the campaign of the RAZR HD and blatantly called it the Moto X. They also claim that this is a “leaked” campaign, when it’s pretty clear that the Bakken posted this on purpose to his own portfolio. Not sure how that qualifies as “leaked.” Ugh. Let’s talk about this. The “goodbye” campaign feature ideas from t-shirt graphics to inspirational quotes about saying goodbye to going silent until new products are ready to full-page newspaper ads. The return is anchored by a “Hello again” quote, along with grammatically awkward sayings like “Nothing won’t change.” There is even long quote of “A word to the billion people the world has never heard from before. Hello.” Again, the idea makes sense, but the delivery here is all over the place and super awkward. So why has the tech media decided that this is now the ultimate leaked roadmap and campaign for the Moto X? Because the “pitch work” included a date. So folks, as you cruise around the internet today, you’ll likely see sites suggesting that the Moto X is launching on August 1. Truth is, the date was only mentioned in “pitch work” from someone who pitches ad campaigns to companies. Being pitch work, I’d assume Motorola didn’t accept the ideas and the Bakken has since posted the work to his portfolio to show potential clients what he is capable of. 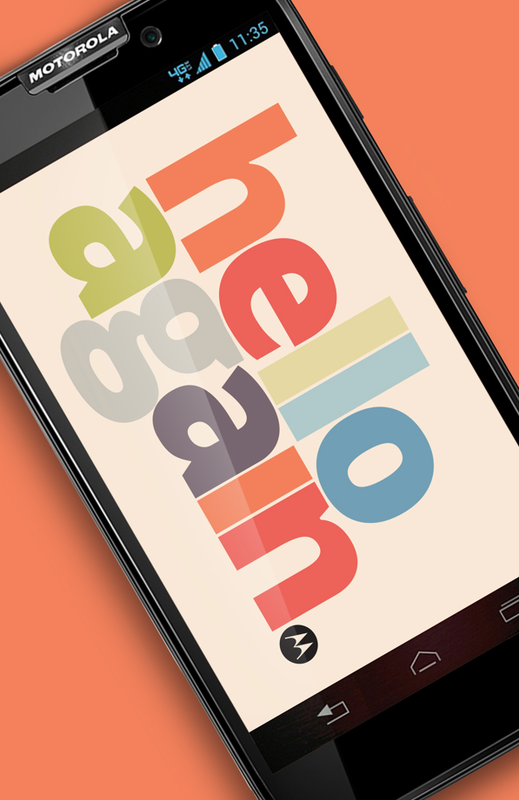 And if Motorola did like his ideas, I doubt any of what you are seeing in this “pitch work” is even close to final. It’s PITCH WORK. Does anyone really believe that a a designer is going to sign a major ad campaign deal with Motorola and then out the entire thing, including specific dates, before Motorola can even start pushing it publicly? Come on. I know we have seen some crazy things in our day, but this would be a new one. Edit: As commenters have pointed out, Behance is not an ad agency, but more of an outlet for designers to post their work. One even called it the “Myspace for designers.” So we’ve tweaked the post to reference that, but again, this just proves that this is complete crap. It’s “pitch work,” not a legitimate ad campaign that you should buy into. As you see the reports flooding in today, suggesting that August 1 is now the launch date for the Moto X, remember this.